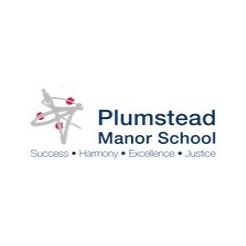 Plumstead Manor is a thriving secondary school in Inner London, with a diverse community. In 2017, 24% of our year 7 intake had a reading age of below 9 years. We chose Catch Up® Literacy as it was recommended by the Education Endowment Foundation and we needed a reading intervention that would not impact too heavily on withdrawal from mainstream lessons. Our school aim is to support our pupils to go beyond what they ever thought possible, and Catch Up® fits into this. We wanted to increase reading ages to give the students confidence and self-belief to achieve their potential. Our journey began by training three staff, who have already achieved the Level 2 qualification, ‘Delivering Catch Up® Literacy’, which is accredited by Gateway Qualifications. I identified students by using their reading ages from the NFER C test, which they had sat in their first week at school. I chose students with a reading age of below 8.5, and we conducted a Salford test; the weakest readers then had a Catch Up® Literacy assessment. Once the students had been identified – 22 in year 7 and 14 in year 8 – I timetabled their sessions making sure that they were not being withdrawn from core subjects. I presented the intervention to Senior and Middle leaders and explained the benefits of the intervention to them. I then notified parents to let them know about the intervention. As a team, we created a Catch Up® library and levelled the books, and we asked the school library to create a section of low level books for the students to borrow. When we were ready to begin, we called all the students together and told them about the intervention using the Catch Up® videos. After three months, we repeated the Salford assessments and again during the summer term. As a team, we meet regularly to discuss student progress, plan observations and iron out any issues that may arise; we share ideas and strategies to help each other. Students who excelled on the intervention were then transferred to a group comprehension intervention. Throughout the intervention, parents and teachers were kept informed of progress, and students achieved recognition in assemblies and were regularly praised. At the end of the year, we had a graduation meeting and the students gave their feedback, which was very positive. Every child had made progress. Student A comes from a family with a history of dyslexia, and shows signs of ASD. She is a very anxious girl and started at Plumstead Manor Secondary with a reading age of 6 years 11 months, having never read a whole book. At the start of the intervention, she read in a very quiet voice and would hide the words so miscues could not be found. At the end of the year, she presented a different student – her reading age had increased to 11 years. Student A was more confident, didn’t have a fear of miscues and her mother said she was reading at home, reading street signs and helping her older sister, who is also a struggling reader. Teachers reported how confident Student A now is in class. At the end of the year, she had achieved her target grades and had a ratio gain of 9.8. Our goal is to provide a world-class education to all our young people based on our core values of success, harmony, excellence and justice. We aim to release the full potential of every young person over their seven year journey with us, during which we commit to supporting each one to go beyond what they ever thought possible, so they go on to change the world for the better. High quality teaching, in a safe and friendly environment are our recipe for everyone to succeed and flourish in our fully inclusive school. We believe the very purpose of school and education is to help young people grow and develop so that no door is closed to them in their lives. We have the highest expectations for academic scholarship, outstanding behaviour and personal development and expect our young people to work hard, to show good manners and to make lasting contributions to their school and the wider community. That is why our young people combine academic success with a wider appreciation of the world around them, so that by the time they leave us they are ready to take their place in the world as responsible citizens.